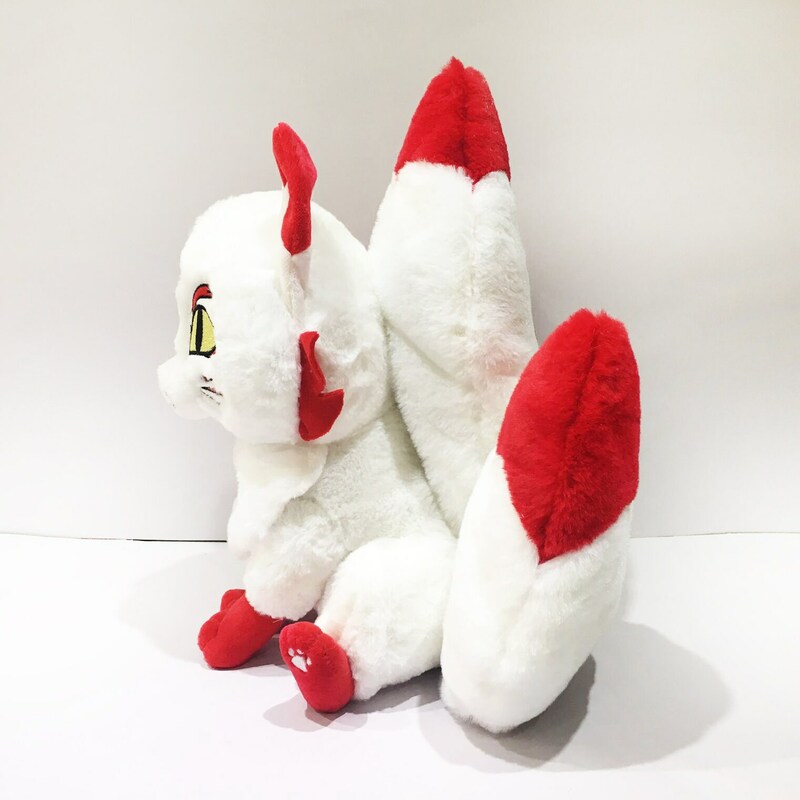 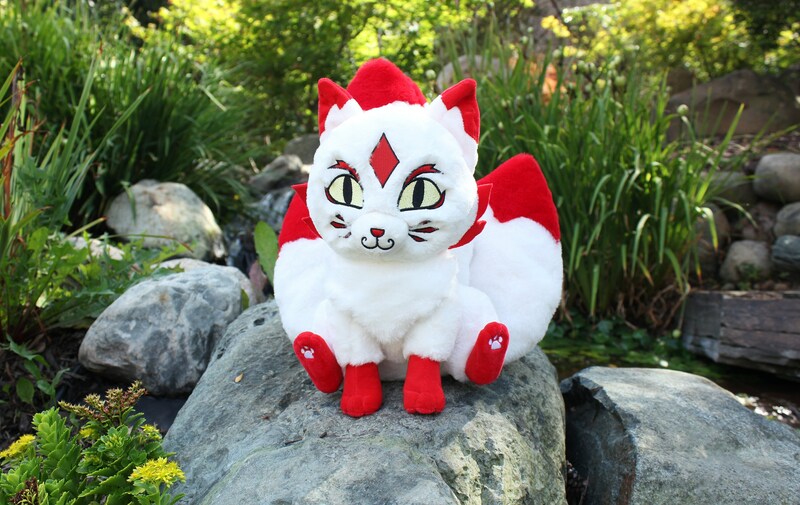 A playful Kitsune scampers your way, and it looks like it wants to play... Will you take the yokai up on its request? 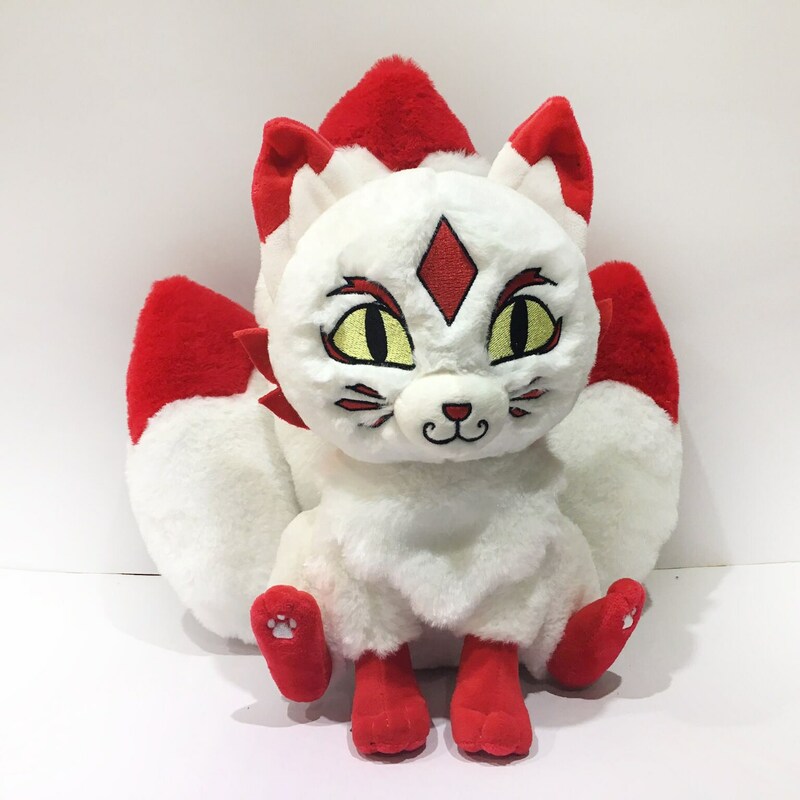 Kitsune is made from super soft minky fabric and faux fur, will be 11-12" tall, and will be stuffed with poly stuffing. 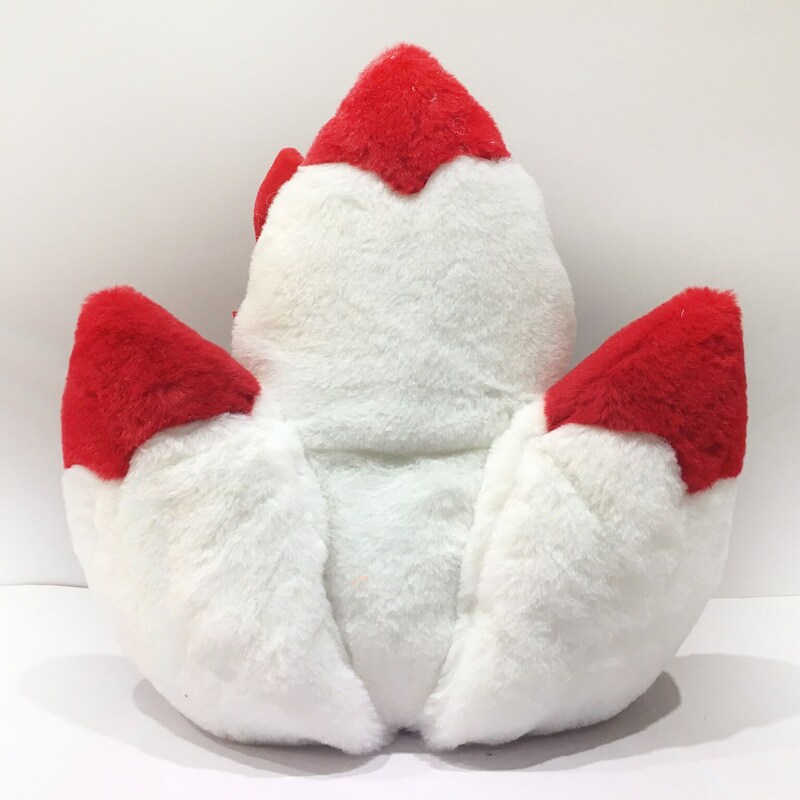 It will have embroidered facial features, embroidered toe beans, and will have weighted pellets in his underside to keep him upright.